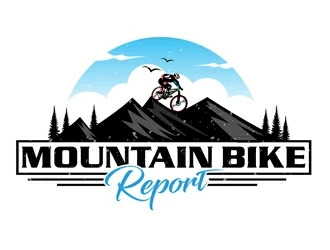 Here are my results after doing research for the best mountain bikes for hunting. You’ll get to know what some riders of these mountain bikes said after I spoke with them. Their experience will help you to know which of these mountain bikes is best for you in terms of your hunting needs. The Cyrusher fat tire mountain bike is good for taking hunters to their hunting grounds. You’ll be able to get to the hunting area quickly and quietly. It has 26 inch tires which are 4 inches wide. The width of the tires allows you to ride over all kinds of terrain, especially the forest floor silently. Riding on dirt, leaves, grass, sand, and snow is no problem. While you are riding you’ll be supported by the Cyrusher’s 500 watt specialized motor. This motor is powered by a waterproof Panasonic 48 volt 10.4ah lithium water bottle battery. You can change the battery while leaving it connected to your bike or you can remove it and take it anywhere you like to charge it up. Using the full power of the battery and without pedaling hunters will be able to ride up to 30 to 40 miles into the woods and back. Plus you can ride at a speed of up to 25mph. There are 3 modes to choose from, twist throttle, power pedal assisted, and pedal only. If you need more power Cyrusher does make other fat bike versions which can handle a 750 watt and 1000 watt power source. Hunters hunting in more hilly and mountainous areas can choose from 7 Shimano gears to shift into. Shifting from one gear to another is easy and secure, no chains getting stuck or slipping. One rider explained that after 12 miles of riding he still has 75% power left in the battery. A second rider described the bike to be very comfortable to ride. He rode the fat tires on all types of terrain. The battery stayed full longer than he expected. The front suspension can be locked for riding in town and unlocked for riding on the trails or in the forest. A third rider said the bike does very well going up hills. It has held up well after many rides. The Cyrusher fat mountain bike has an aluminum frame which is lighter than steel. Aluminum is strong and durable so you will have no problem carrying your hunting gear with you. The bike can support up to 350 pounds and only weighs 55 pounds. It is equipped with mechanical disc brakes. You’ll be able to control the bike very well and slow down smoothly and quietly without frightening any animals. This bike is easy to assemble because it is delivered to you 90% assembled. It only takes around 20 minutes to assemble, then you are ready to go. The Ecotric fat tire bike will have you at your favorite hunting grounds fast. The bike can go up to 23mph. Plus you’ll be able to get there without scaring away any deer. The wheels on the bike are 26 inches. The width of the tread on the wheels is 4 inches wide. These 4 inches really improve the grip you will have on all types of terrain compared to a regular mountain bike. You as a hunter will be able to slip in and out unnoticed because you won’t skid or slide on the terrain. This bike weighs only 58 pounds and can handle up to 260 pounds. So you can carry all your hunting gear easily. The Ecotric is powered with a 500 watt rear hub motor battery. It is removable so you can charge it using its 36 volt lithium cell with smart lithium battery charger. There are battery lock and power lock functions for security. The battery lasts a long time. You can recharge the battery up to around 600 times before it might need replacing. You can ride up to 25 miles without needing to pedal. You can also use the battery and pedal at the same time, as well as only pedal. One rider explained that the motor is quiet and powerful. If you set the level to five you will go from 0 to 21 mph very fast. You will get there even faster by using pedal assist. A second rider said the battery locks in place and can be removed easily with a key. This keeps the battery secure. You can charge the battery anywhere you like. Using the included extension cable you can plug it into the bike and charge the bike while it is parked in the garage. For hunters that hunt during dawn and dusk the display is back-lit for nighttime rides. The display includes mph, bike odometer, and the number of charge cycle counts. The Ecotric uses Tektro Novela mechanical disc 160mm rotor brakes for the front and the rear wheels. Slowing down smoothly and silently is just what hunters need. On occasion while riding hunters may notice some game off in the distance. This is where great shifting comes into play. You’ll need to shift up to faster and faster gears quickly. This bike uses Shimano 7 gear shifting system which gets you to those faster gears without any mistakes. For added safety this bike is equipped with motor inhibitors on the brakes. When you press on the brakes it cuts the power supply to the motor. This effectively turns off the motor. This is especially useful during an emergency and when you want to stop as silently as possible. The QuietKat is a great fat bike to go out hunting with. You can carry all your hunting gear and go up to 25mph without pedaling. Plus the distance you can go at this speed is 18 miles. That is 9 miles into the woods and 9 miles back out. This allows you to cover a lot of ground in order to hunt. Supporting you is a powerful 1000 watt mid drive motor. There is also a 750 watt model. You can easily recharge the battery using its 48 volt lithium-ion battery. If you want to increase the area that you can cover then just use one of the pedal assist modes. When you pedal while also using the battery you can then ride up to 30 to 40 miles. This is especially helpful if you are hunting deer. In order to hunt effectively you need to get into position quickly and quietly. The QuietKat uses a mid drive motor which is sealed in a case to allow silent operation. So whether you are getting into position or pursuing an animal, you’ll be able to do so stealthily and silently. This bike uses 26 inch tires and the width of the tires is 4 inches. Four inch wide tires make a lot of contact with the ground which greatly increases the grip. Plus these tires have knobs on them. This improves the grip even more whether you are going over rocks, roots, sand, snow, gravel or wet leaves. If you get the 1000 watt model then your bike will have hydraulic disc brakes. The fluid in the tubes pushes the brake pads closed so the bike stops. This type of brake system allows the braking power to be modulated more effectively compared to mechanical brakes. Braking is done more smoothly and gradually. There are no sudden jarring movements when stopping. Being able to choose the right gear quickly and easily when going uphill or downhill is critical when you are on the hunt. QuietKat has 8 gears from which to choose from. You can cycle up and down the gears one by one fast. You don’t have to worry about the chain getting stuck or slipping. A hidden benefit of using the QuietKat as a hunter is odor prevention. When you are approaching animals on your bike your feet will not make contact with the ground. You won’t leave any of your body scent behind. A second way this bike helps to prevent odor is by stopping you from sweating. By using the throttle mode you can just sit on your bike without pedaling. You won’t have to break a sweat until you are in position and the real hunting begins. The Addmotor Motan fat bike is a comfortable bike for hunters who have a lot of hunting gear to carry. The saddle of this bike is wide and comfortable. There is a quick release lever which allows the saddle to be adjusted whenever you want without any tools. The Addmotor Motan can handle and support up to 300 pounds. Depending on your body weight this gives you lots of weight to use to carry your hunting gear. Powering this weight through the forest is a Bafang 500 watt geared hub motor located in the back wheel. Hunters can get to their hunting ground at a top speed of 23mph without pedaling. Riding at a top speed of 23mph keeps this bike at a class 2 level. This makes it more legal to ride in more areas than a bike that is classified as class 3 or class 4. If you want to go faster you can start pedaling. You can travel 40 to 55 miles per charge. One rider explained that this electric mountain bike lives up to the information it was advertised as. The Addmotor Motan is large, quick, and fun to ride especially when riding uphill. Hunters tracking animals uphill can use pedal assist to more easily go up tough climbs when they need to. A second rider thought the bike was easy to put together. He suggested if you have a rack to let the professionals do it unless you are very handy. Addmotor does not charge you to add a rack. They will reply back even on Saturday or Sunday. The third rider I talked to liked the digital dash a lot. Thought the wheels were aligned very well, thought the same thing about the chain sprocket. It made no noise. Even on fat tires the rider thought the bike tracks straight and steers even easily. If you are a tall hunter don’t worry, the wheels are 26 inches but because they are fat tires they are more like 28 inches. The tire rubber is tall. 28 inches will help the hunter roll over rocks, roots, and fallen branches more easily and silently without scaring any animals away. This bike weighs 68 pounds and is equipped with Tektro Aries mechanical brakes. The brakes have 180mm rotors in the front and back. You’ll be able to stop smoothly and quickly without making any noise. The brake levers are big 4 finger levers with rubber edges so you have a lot of room to squeeze the brakes and modulate how you stop. The 4 inch wide tires are great if you are hunting in wet muddy terrain. You’ll have maximum grip and these tires are capable of having very low psi to increase the grip even more. The DJ fat bike is a good bike for hunters with a lot of ground to cover. When the battery is fully charged you can travel 45 miles of hunting grounds. You can also do this quickly without pedaling for up to speeds of 20mph. One rider said he liked the thumb throttle very much. The pedal assistant is very powerful but also very smooth. As a hunter the rider added a rear cargo rack, panniers, and a trunk box. Making these additions was not too difficult. He thought the tires could of been knobbier, but it still did great on rocks and leaves. A second rider uses the bike for exercise. He explained he lived in a hilly area so the pedal assistant was very helpful. He rode 22 miles easily. The battery was not depleted very much, it still had lots of juice. On loose gravel and sand the tires were excellent. A third rider I spoke to uses the DJ fat bike to go between buildings to work. He was able to go 25mph easily with pedal assist. The bike was easy to put together and the shipping was fast. If you are going to go hunting early the next morning it is a good idea to charge the battery overnight. You don’t have to worry about overcharging the battery because BMS will prevent this. When the battery detects it is fully charged it will stop charging. The battery comes with a charger and it should take 2 to 4 hours to fully charge. You can recharge the battery up to 1000 times. In order to achieve this don’t let the battery go below 30% charged. Some assembly is needed but if you can put your hunting gear together then you can put this bike together. Only the front wheels, handlebars, and saddle need to be installed. The weight of the DJ fat bike with the battery is just 57 pounds. The battery is around 10 pounds. The Bafang motor without pedaling gives you 750 watts of power. But if you are chasing after an animal while hunting then start pedaling. The motor will then give you 1000 watts of power. It is perfect for more speed, going uphill, and pushing through strong winds. The DJ fat bike can handle hunters of all sizes and amounts of hunting gear. The frame is made from aircraft grade aluminum. This aluminum is sturdy and not brittle. Supporting the frame are the DJ’s 26 inch fat tires. Its wide 4 inch tire treads and knobs give you more than enough traction to keep you hunting no matter what type of terrain you are on. The Nakto electric fat bicycle is perfect for stealthy hunters who like to sneak up on their prey. This bike’s motor is very quiet, there is little noise, you’ll only hear a low humming sound. One rider said that the handlebars and seat height are easily adjustable. You only need to push a little red button which switches you between manual and electric mode. Activation of electric mode is done by using the twist throttle or by pedaling. Another rider explained that he can go as fast as 25mph. The bike is easy to handle and the kickstand works great. Getting off the kickstand and then applying the kickstand is easy. The only thing he did not like was the seat. He was easily able to switch out the old one and add a new saddle. The last rider I spoke to said this bike goes faster than his old bike. His average speed was 18mph without pedaling. Hunters which hunt during dusk or dawn will like that there is a headlight built into the bike system. He rode the Nakto around 10 to 15 miles per day for 7 days. The battery charged well and there was no loss of power. This bike is equipped with a brushless motor that has 250 watts of power. Because the motor is brushless it guarantees that your ride is smooth and silent even when the motor is on full throttle. You can easily charge the battery using its 36 volt 10ah lithium battery charger. This can be removed so you can recharge it anywhere you want. The front and rear wheels have mechanical disc brakes. You’ll be able to stop smoothly, gradually, and quietly without frightening any animals. Shifting gears is a breeze with its Shimano 6 speed gear set. Wether you are going uphill, downhill, or on flat ground you’ll be able to get to the most powerful and efficient gear to continue hunting. This bike is easy to assemble. When it is delivered, 90% of the bike has been put together already. Someone with no experience can put the bike together. When you are going to the hunting area you can use the full throttle mode so you won’t build up a sweat. This way you prevent any odor build up. This is ideal for hunters because animals can detect the odor of humans. The Ego bike is great for hunters because you can travel 16 to 18 miles without pedaling. This will take you deep into the forest and will take you to your favorite hunting grounds. If you want to go farther then just start pedaling to cover more ground. One rider I spoke to said it has incredible power and technology. He lives halfway up a mountain and rode 5 miles, found it easy to switch into assisted power. He used the lowest level of pedal assist and made up easily steep hills. A second rider, 72 years old rode for 32 miles on a speed setting of one. After the ride he still had 50% of the battery power left and he was not tired. The third rider explained that he was able to assemble the bike fast. He just watched the set up videos and did not need any instructions. He rides the bike all over his town and takes it into the woods on to walking and hiking trails. He went up and down hills easily. The Ego bike has 26 inch wheels and 4 inch wide tires. The tires and the frame will support up to 260 pounds of weight. This is more than enough to accommodate your body weight and your hunting gear. The tread pattern, knobs, and width of the tires give you maximum grip in order to handle all types of terrain. This includes roots, rocks, mud, snow, sand, and leaves. The motor is a powerful 36 volt 500 watt rear hub. It is powered by a 36 volt 10ah lithium battery. This battery is easily rechargeable. It takes 6 to 8 hours to charge. The battery can be charged 400 to 600 times. If you plan to go hunting after work the battery is removable. You can bring the battery to work and charge it there or leave it at home and charge it in the garage. If you need to replace the battery it is $280. The battery will last at least 3 years. The Ego bike only weighs 58 pounds so it is pretty easy to handle. Because of this, steering is easy to handle when riding in narrow areas. You may need to zig and zag between trees while hunting and tracking animals. This bike has an aluminum frame which is sturdy and yet can absorb impact from the terrain. The brakes are mechanical cable disc brakes, so you don’t have to bother with bleeding the brakes as you do with hydraulic brakes. You have 7 gears from which to choose with its Shimano 7 speed twist throttle style system. Seven gears is more than enough when hunting uphill or downhill. The Surface 604 Boar fat bike can take you hunting through the roughest terrain. This bike has 26 inch wheels. The tires are called Kenda Juggernaut tires. They have a lot of traction which is especially good when hunting on extreme terrain. The tires are wider than other fat bikes at 4.5 inches wide. To help hunters not to stand out in the forest the frame of the Surface 604 Boar is painted with camouflage matte paint. The bike does not have any shiny parts which might catch the eyes of animals. Hunters usually wear work boots or some type of boots when hunting. The pedals on this bike are large stiff platform pedals. This will prevent you from slipping or sliding. You also won’t have any foot cramps because your foot will be able to relax on the pedal because of the pedals full support. This bike weighs 66 pounds, plus your body weight, plus whatever hunting gear you are carrying needs good brakes. This mountain fat bike has big strong hydraulic brakes which are perfect for smoothly slowing down a lot of weight. When you are riding on dirty, muddy, wet terrain, hydraulic brakes stay cleaner. Plus its adjustable reach levers can accommodate small, large, and gloved hands easily. When loading up the bike in wet muddy weather, hunters can use throttle on demand. This will prevent you from getting stuck in the mud when starting from a dead stop with a heavy load. The motor of the Surface 604 Boar is 350 watts. It can go as high as 750 watts and powers a brushless hub motor which is very quiet. The motor is powered with a 36 volt 13.3ah Samsung lithium ion battery. You can remove the battery for charging anywhere. Depending on the mode you use you can ride up to 50 miles on one charge. If you need more suspension because the hunting terrain is especially rough you can add a suspension fork. The head tube is tapered which enables a wider and higher quality fork. The front wheel has a sturdy thru-axle which is 15mm. This extra suspension is especially helpful when going downhill. Starting up the Boar E750 is very easy. The display on the dashboard is durable, big, and easy to see. You can adjust it in order to reduce and stop any glare. Once the display is on you can see the assist level, speed, trip stats, and the battery monitor. If you need to ride out early morning or are coming back after dark from hunting the display has a back light. The Rambo Xtreme Performance fat bike can be used on all terrain for hunting. It is equipped with Maxxis tires which are 26 inches but are more like 29 inches because the tire side walls are so tall. Tall side walls allow you to roll over obstacles more easily. Obstacles like roots, rocks, and small logs. These tires are especially wide at 4.8 inches wide. This width gives you more grip than most other tires. Going over loose dirt, gravel, mud, grass, and leaves is very easy. Be sure to bring all your hunting gear because Rambo can handle up to 300 pounds of weight. It can carry this weight while going 28mph without pedaling. This will allow you to see more animals without having to think about pedaling. You can check trail cameras and scout out the land while remaining silent. This silence is maintained while riding because of RST Renegade suspension. Impact from obstacles is absorbed and your hunting gear will not bounce around. Powering the Rambo Xtreme Performance is a strong 1000 watt motor. It is whisper quiet so you won’t scare away any animals that you want to hunt. The motor is encased for its protection and to keep it clean and running efficiently. The motor is powered with a Panasonic battery 48 volt 14.5ah. This battery is removable so you can change it from anywhere. Most fat bikes for hunting have 6 or 7 speeds to choose from but the Rambo 1000XP has 11 speeds. These 11 speeds will allow you to dial in on the most accurate gear for going uphill, downhill, or flat terrain. Shifting smoothly without the chain slipping or getting stuck is ensured due to the Rambo’s SRAM NX derailleur. This derailleur gives you a wide range of gears, sequential, shifting, and secures the chain. The Rambo 1000XP is custom built using a 6061 aluminum frame. It is rustproof and lightweight. There is a sealed motor casing which makes sure it runs as quietly as possible while also protecting it from the sun, wind, rain, and cold. Whether hunting uphill, downhill, or in fast pursuit of game you will need to slow down eventually silently and quickly. This bike has Tektro 4-piston 203mm hydraulic disc rotors on the front wheel and 180mm on the rear wheel. Its dual disc brakes enable you to make multiple fast stops when needed without heating the brakes up too much. So be ready for the chase when hunting.